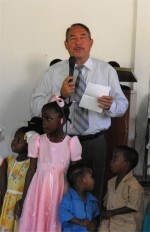 Heart for Haiti was founded in December of 1981 by Dutchman Johan Smoorenburg, a missionary of 36 years. 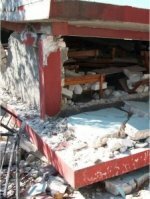 He started his work on the island Martinique. 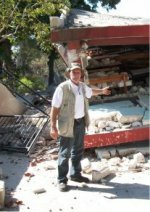 After 10 years there, he left Martinique and went to Haiti with his wife and two children with a vision to do something for young people. 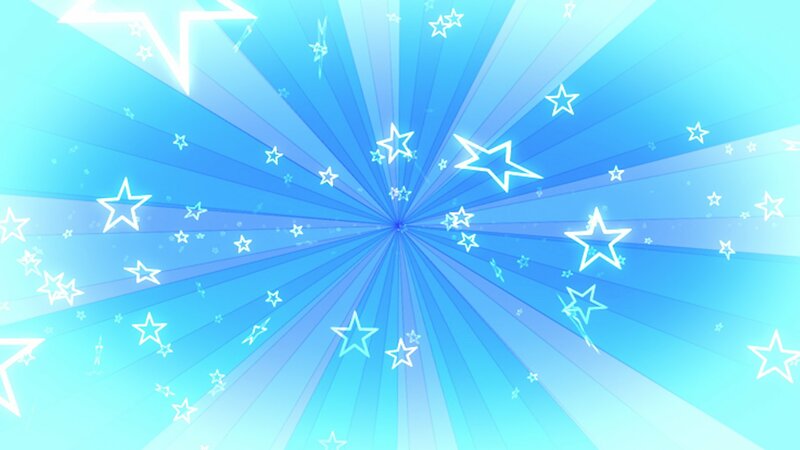 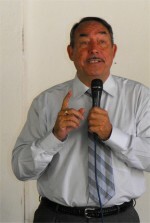 Johan Smoorenburg received this vision when he took a trip to the island two years before. 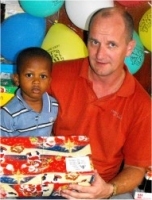 He visited an orphanage resembling more of a pigsty than it did a home. 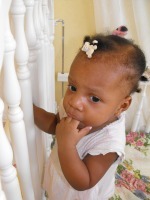 There were more than 50 small children—all of them malnourished and sleeping on the floor. 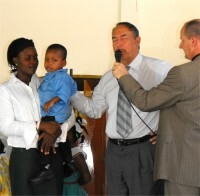 Johan Smoorenburg started a work on faith and God began doing wonders. 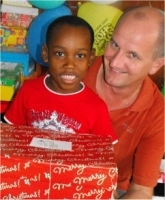 With support from the Netherlands, he realized his dream to build a children’s village. 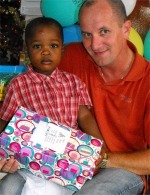 His goal was to allow underprivileged children to receive good care and education. 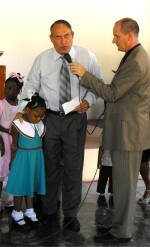 Heart for Haiti in Bon Repos also has a church, linked with the church in Martinique where Johan Smoorenburg worked for ten years as an evangelist at the beginning of his career as a missionary. 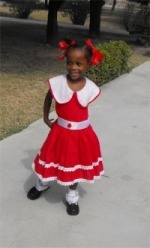 Little by little, the village started to grow; and, in August 1983, the first 40 children came to live there. 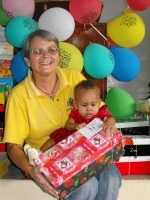 Many of the children had been abandoned at birth and came straight from the hospital. 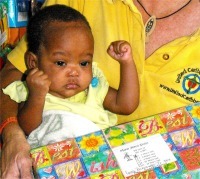 Over the course of many years, some hundreds of children were given a chance at a successful life. 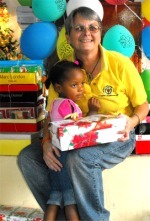 Jenny Tryhane, founder of UCT worked in partnership with Pastor Pierre Banes Laurore the Haiti Kids EE National Coordinator trained 12 English speaking interpreters in preparation for Don and Carla Thompson, the Kids EE Caribbean Coordinator's visit to Haiti later in 2009. 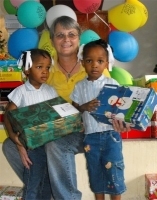 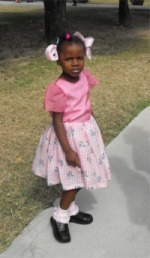 In January 2009 Jenny visited Heart for Haiti for the distributed hundreds of Make Jesus Smile shoeboxes to the Heart for Haiti Children's Village. 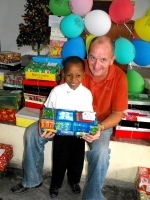 Thanks to Robert en Durkje de Vries who helped distribute the gifts and thanks to the children of the Abundant Life Assembly Sunday School that once again this year prepared hundreds of Make Jesus Smile shoeboxes which were distributed all over Haiti. 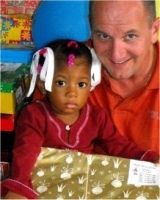 Based on our convictions, the vision of the Heart for Haiti foundation is to relieve need wherever it’s necessary. 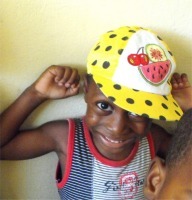 The goal of Heart for Haiti is to reach the poor with aid and the Gospel. 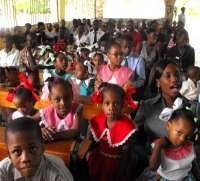 Through the current and prospective work and proclamation of the Gospel in Haiti, the social, public and evangelical standards and values are being actively carried out. 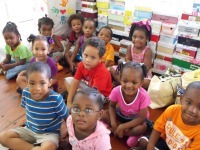 The young people in the children's village and adults are being offered the opportunity of a better future through schooling and proper nourishment. 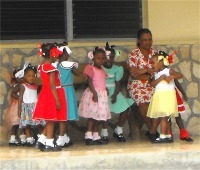 The senior citizens peacefully enjoy their old age. 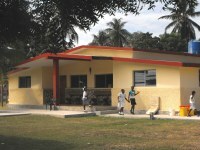 The children's village in Bon-Repos, together with the projects in Leogane are and will remain an 'Oasis of Hope'. 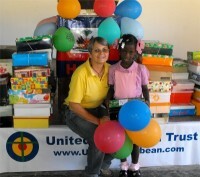 Seen here Jenny from United Caribbean Trust distributing the Make Jesus Smile shoeboxes to the children of the Heart for Haiti school. 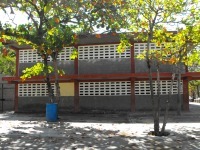 The school is a building with 2 floors containing 15 classes. 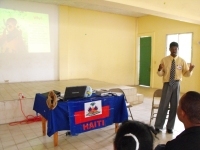 The teachers have all had secondary teacher training, training that can be taken in Port-au-Prince. 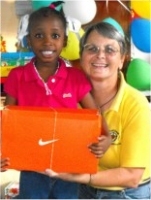 The teachers follow a program prescribed by the ministry of education from which they are not permitted to deviate. 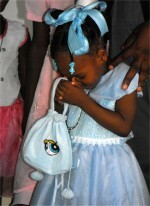 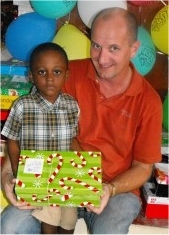 Click to see the school children receiving their Make Jesus Smile shoeboxes. 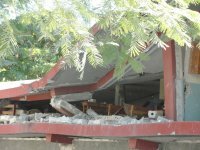 This school has been totally destroyed in the recent earthquake praise God no one was killed. 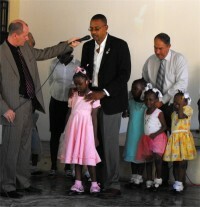 All of these children are available to be sponsored through Heart for Haiti.